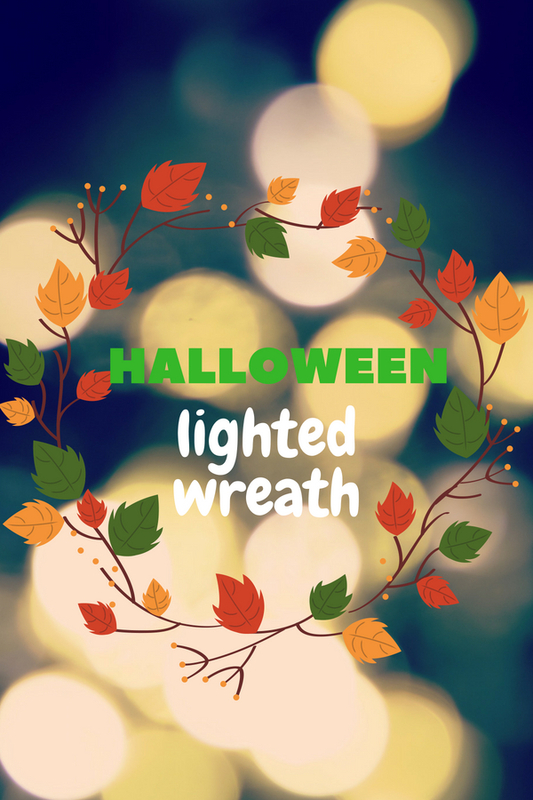 Let’s welcome trick-or-treaters and your party guests on the night of 31 October with the Halloween wreath with Lights. They might not illuminate your entryway as bright as lamp but they add the holiday’s atmosphere and being the chief welcoming element for both of adults and kids at night time. This holiday decoration normally includes a spooky element but the first one takes out the scary undertones. A mixture of orange color Jack O pumpkin, white color small skulls, silk flowers and fall leaves are fastened in a ring to make it becomes one of the best choice of the holiday decoration. The second one adds creepy factor by including flying ghosts and witches. This is the only glowing ring that comes with spooky sound compare to the rest. If you would like to have extra frightful creatures of the night, then take the last three options into your consideration. Will your guests scare with a ring that made of gleaming skull eyes? Or they will be frightened with skeleton that features color changing eyes and black glitter mesh and leaf? Or you found that illuminated bone adds the spookiest touch to your front door decor?